PaGamO is an online gamified learning platform created by Professor Benson Yeh at National Taiwan University. Currently, there are more than 500,000 players online to learn and compete together. For teachers, PaGamO enables teachers to create their own question banks, and includes analytics tools for monitoring students’ performance. For more information about PaGamO, please visit http://www.pagamo.org. 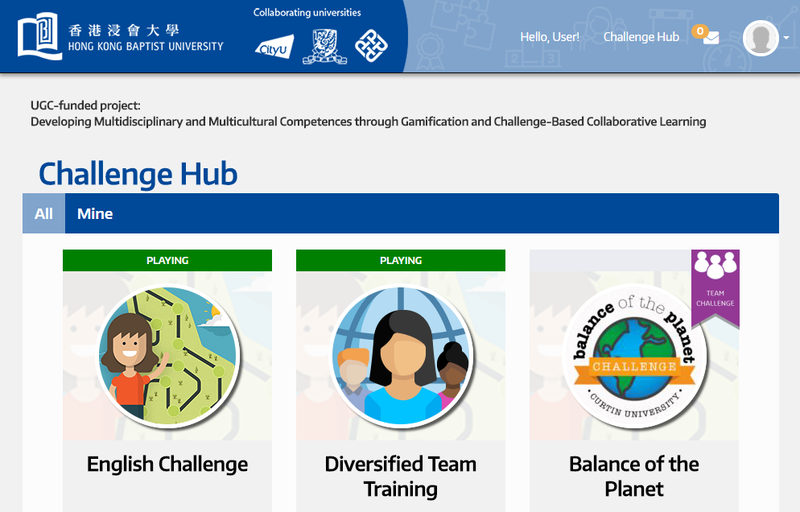 HKBU Challenge Hub (https://challenge.curtin.edu.au/home/hkbulogin) is based on Curtin Challenge from Curtin University in Australia. Curtin Challenge is a platform to engage learners through challenge-based approaches to learning and teaching. It is designed to support self-directed learning, self-organizing international teams; open-ended problem solving that requires complex thinking and is cross-disciplinary, automated documentation and assessment of learning. The platform tracks user actions at high resolution allowing analysis of cognitive and behavioural change. It enables individuals to build up a longitudinal record of digital engagement and to make progress at the individual level while working alone or with others. uReply (also known as EDTool) is a classroom response system for use with mobile devices, developed by The Chinese University of Hong Kong. uReply works like a clicker so that teachers can have a quick in-class poll or quiz with their students. What it stands out from conventional clicker systems is that it does not require specialised devices – students simply give feedback with their own mobile devices (mobile phones, tablets, laptops, etc.). 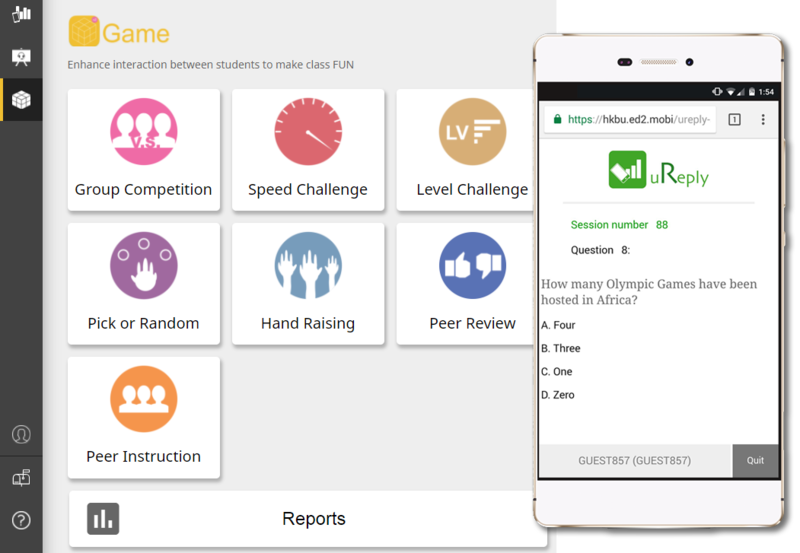 Furthermore, uReply provides a range of technology-enhanced, game-like learning activities such as level challenge, speed challenge and peer review, for facilitating class discussions and engaging students. Like PaGamO, the platform enables teachers to create their own question banks, and includes some analytics tools. For more information about uReply (EDTool), please visit http://ed2.edvant.net.